Teach For America’s alumni go on to a wide range of careers in their time after their corps service. Many go into entrepreneurship, some become lawyers, go to med-school, and many others stay in education as teachers, principals and superintendents. Teach For America remains an important source of interpersonal connections for their alums after their time in the corps. Its a professional network that many turn back to time and time again, for both personal support and to give back. 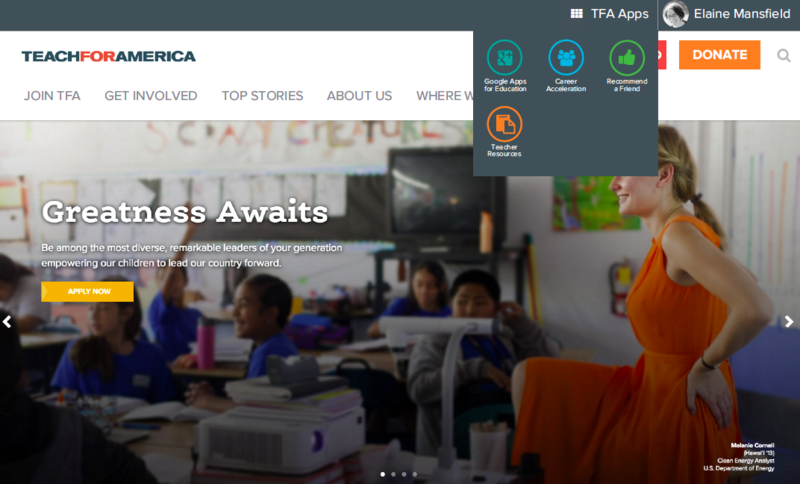 In 2014 TFA began to re-imagine the alum experience as part of a person’s career-long story. My work has been focused around listening to alumni and designing a space to meet their changing needs. In 2015 TFA launched their flagship TeachForAmerica.org with a member experience based on my research and designs. In 2016 and 2017 in concert with members of our alumni affairs business teams I researched and piloted career focused efforts to re-engage TFA’s diverse alumni group. Journey Map I made to show how the alum experience is directly tied to the experience of a person in the corps and before. 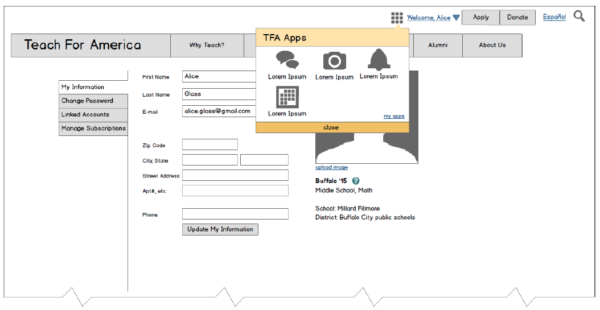 The “TFA Apps” widget which I designed and tested for the 1.0 launch of the Alum Experience. This Balsamiq mockup was part of the prototype deck I used to test the app center concept pictured in the image above. I’ve led and conducted several research projects, including the aforementioned career and connection pilots. I’ve interviewed hundreds of alumni and presented those findings to partner teams; who I’d partner with to turn those findings into products. I usability tested clickable low-fidelity prototypes to quickly test ideas in both more formal and guerilla (coffee-house) settings. 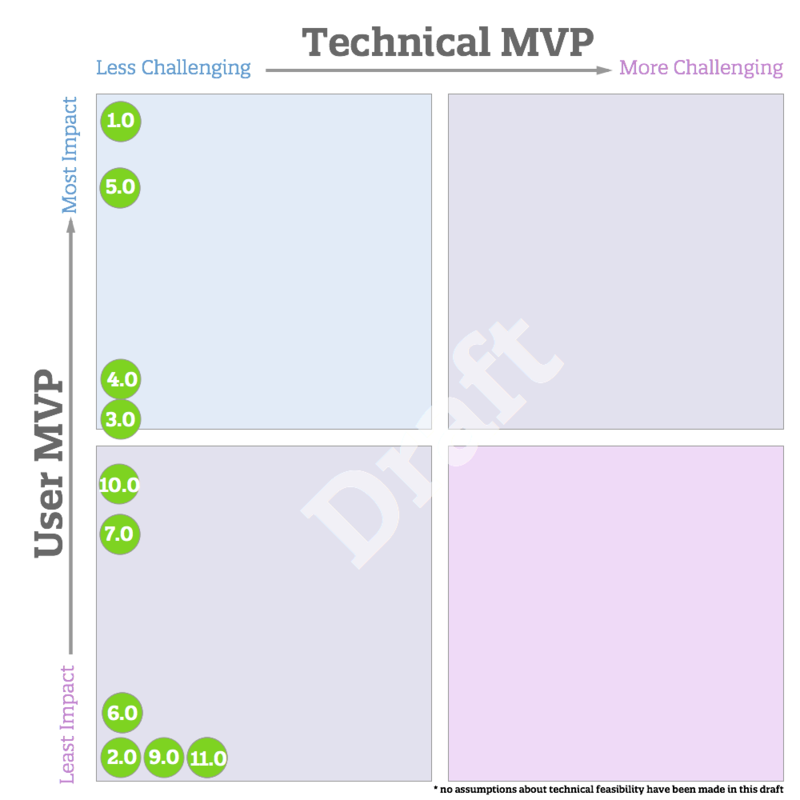 Some of the research work I’ve done has spanned the world between the digital and the non-digital, sometimes veering into the world customer experience (CX) as traditional user experience work. I did: research, including contextual study and interviews; usability testing and low-fidelity prototyping, personas and feature prioritization. These were done in Balsamiq, and the pink areas were “clickable” from the Low-fidelity Prototype deck. We tested a lot of concepts in a short period of time, hence Balsamiq worked particularly well. One of the ideas I designed and tested was a way to make data collection feel more personable and responsive to where the alum was in her career. A hybrid experience/technical flow that shows how a user’s experience touches several systems. I like to draw while I talk. 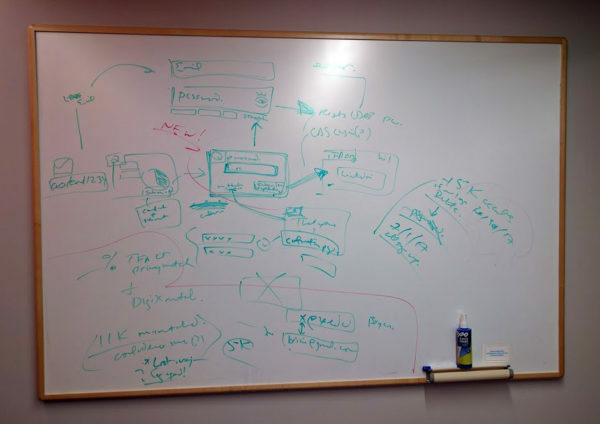 This is a whiteboard from a meeting where I explained the flow diagram pictured above. One of the key findings was that people are not always looking for new connections. But there are key moments in people’s lives where they tend to look for new connections. 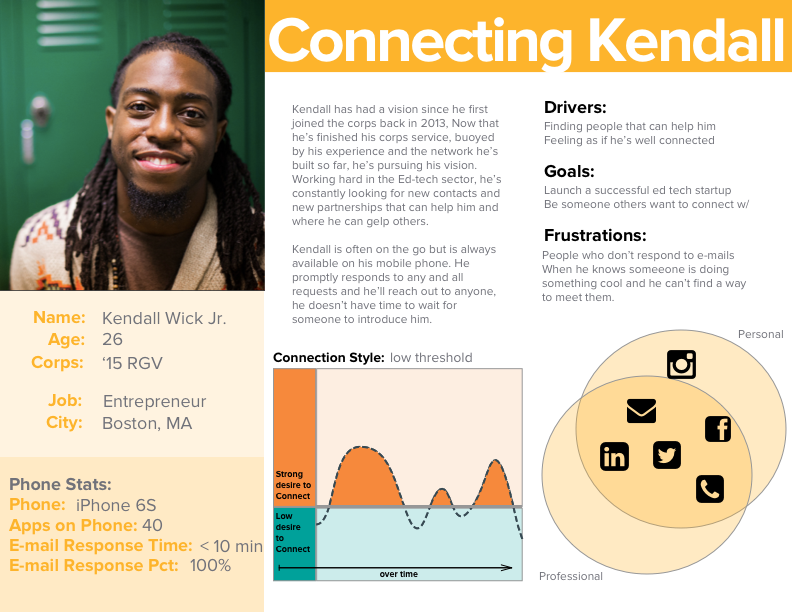 One of the personas created as a result of our study of TFA Alumni and meeting new people for professional reasons. …but we found that people were more likely to step out of their comfort zone when those new people were in a friend’s or other trusted network.